The dawn of the twenty-first century has been accompanied by an upsurge of anti-capitalist campaigning, challenging the very basis of the New World Economic order. Dramatic events such as the protests from Seattle to Genoa, have captured media headlines. But media headlines leave key questions unanswered, questions about the ultimate significance of the challenges posed by global social movements and the development of civil society, both South and North. 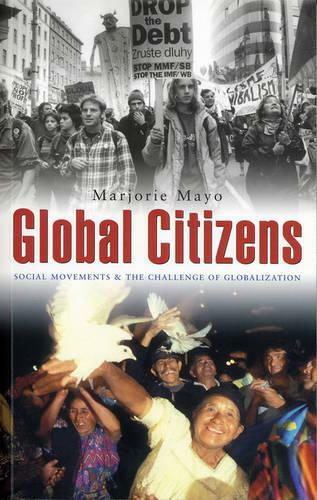 This book sets out to explore the lessons from these experiences of social mobilisation. How can non-governmental organisations, community-based organisations and the labour and trade union movement develop effective campaigning alliances - without becoming institutionalised and incorporated themselves? How can they maintain an effective balance between winning immediate gains without losing sight of longer-term strategies for transformation? How can they work with celebrities to gain media attention -- without losing control of the message? And how can social movements develop organisational forms that are genuinely representative and democratically accountable, globally? These questions are explored through case studies of particular networks, movements and campaigns, to tackle the causes of social inequality and social injustice. It concludes by exploring lessons for building global challenges to neo-liberal agendas and developing more transformatory approaches.